While packing for Israel last week, I looked in my travel bag and couldn’t help but smile at how empty it appeared. 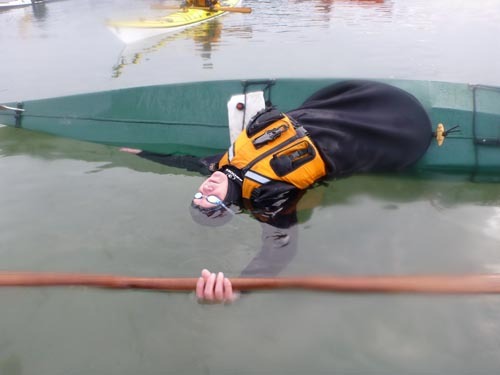 It wasn’t filled with usual symposium attire of a drysuit, fleece, lots of neoprene and warm, fuzzy clothing to wear around the campfire after a day on the water. Instead a bathing suit, sunhat, summer clothes and a few small knickknacks rested in the bottom of my huge bag. This was my third time instructing at the Optimist Symposium, and it was wonderful to be going back. Gathering round for morning announcements. Roddy and Ehud outside the Optimist center. There are many reasons why I love this symposium, with the warm weather being just one of them. 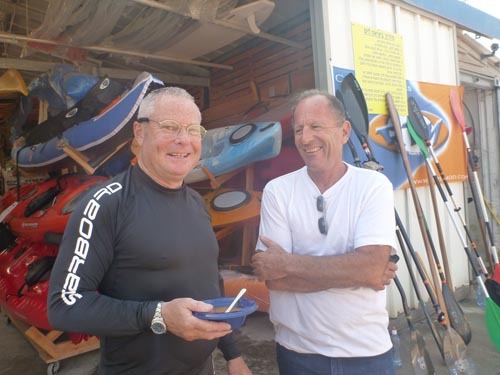 The Optimist Club is very active, and Club members are a supportive and tight group of friends. Ehud Dror and Hadas Feldman do an incredible job of putting the event together. Steve is ready for a day on the water. A gorgeous morning at the beach. Each morning everyone met at the Optimist center and socialized over coffee and tasty treats while waiting for classes to begin. Classes ran for six hours each day, with a long break in the middle for lunch and socializing. Ben Lawry, Roddy Mcdowell and myself were this year’s guest instructors, and we were assisted by local instructors, all of who were wonderful and a huge help. The first evening Roddy gave us a glimpse into his backyard with a slideshow on Scotland. 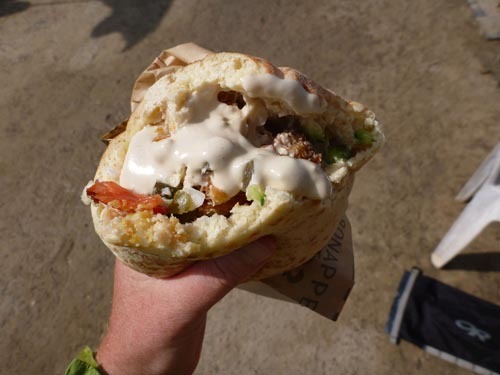 Following evenings were spent sampling traditional food at tasty restaurants or enjoying each other’s company during a backyard gathering. 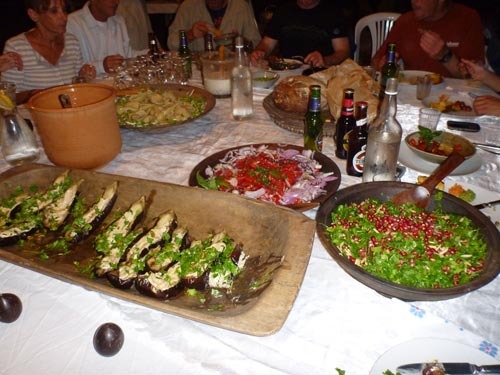 These gatherings were quite spectacular, and tables were filled with magnificent food and beverages. It was wonderful to catch up with everyone and to meet so many new people as well. 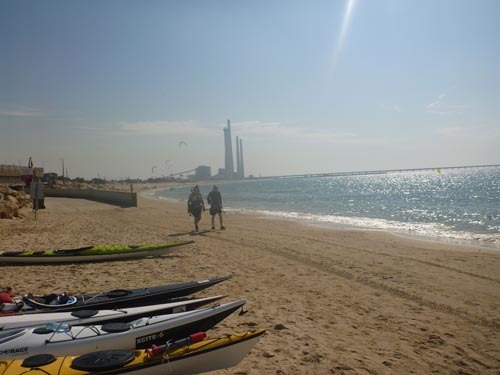 After the four-day symposium we had time to explore, and Hadas and I began early with a fantastic paddle on surf skis. 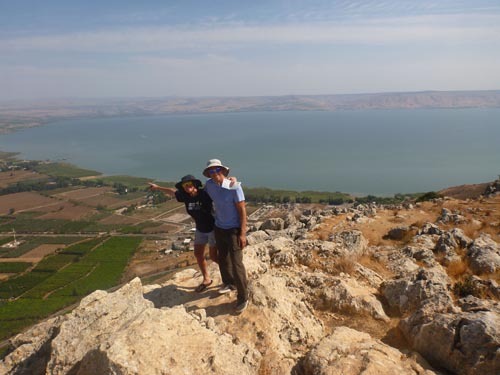 After that we met up with Ben, Zviki and Zohar, and the five of us headed to the Sea of Galilee and Nazareth. We had a great day off and spent most of it laughing and joking around with one another. 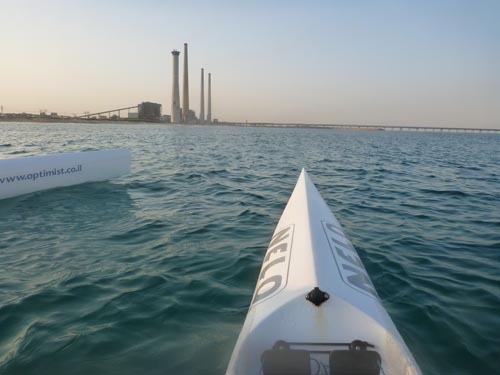 Hadas and I enjoyed a morning paddle in the warm sunshine. A fantastic morning on the water. Now I’m on flight two of three back to California, oddly enough munching on bagged olives and hummus in a tube that the airline provided (it just isn’t the same). I’m heading home to Arcata, where I’m assuming my sun hat and shorts will be stashed away for awhile. A nice view of the Sea of Galilee. 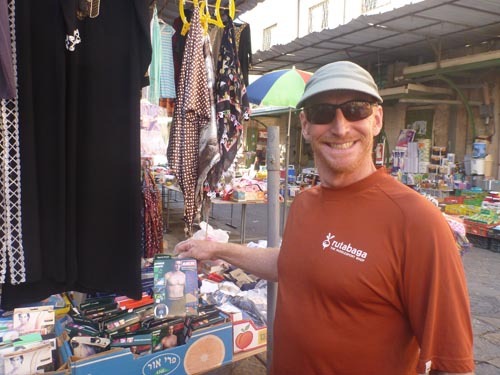 Ben does some shopping in the market in Nazareth. 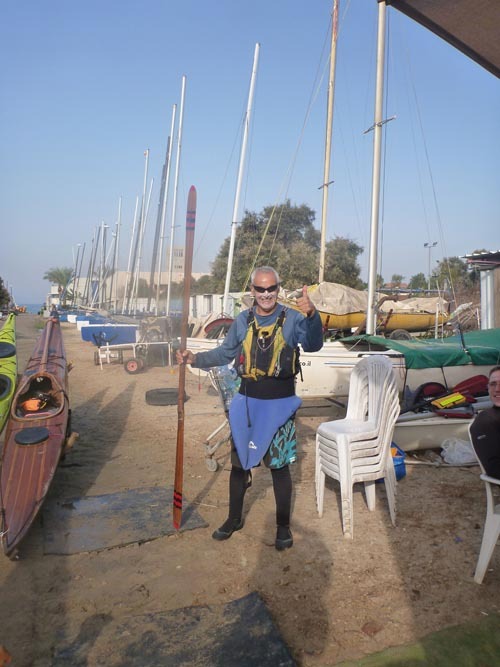 While I was in Israel, Mark was in Wales, instructing at the Essential Sea Kayak Festival. I’ll be meeting him in the UK shortly, and we’ll spend most of November running programs in the UK and Wales (see you soon Love). For more information on our UK and Wales programs, visit the Events page. Thanks to everyone at Optimist for taking such good care of me! Last week I hopped in the car to make the long trek to BCUNA Week, hosted by Alder Creek. The event headquarters were Ft. Steven’s State Park, which is located at the northwestern tip of Oregon. 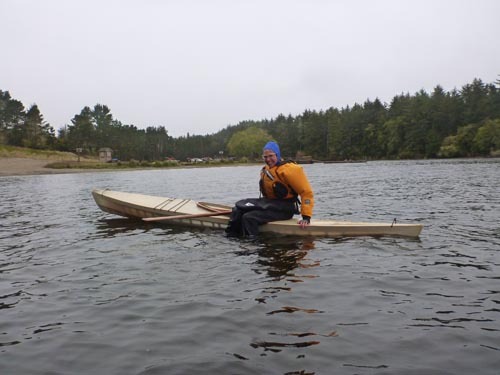 Classes took place at Coffenbury Lake and surrounding coastal waters. Despite heavy rain and strong wind, the weekend seemed well attended. Candidates for BCU awards huddled around tables in the group shelter diligently discussing the best paddling location given the somewhat wild marine forecast. A class gathers on the shore of Coffenbury Lake. 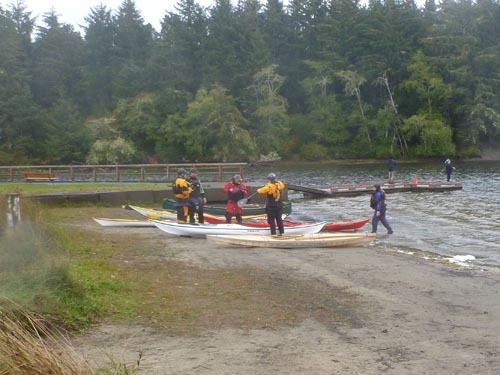 Kayaks and canoes spotted the lake, and in the group shelter people warmed up by a blazing fire. The group shelter also served as a classroom for the BCU Coastal Navigation and Tidal Planning class. Throughout the weekend I instructed Fun, Balance and Games and two rolling classes. 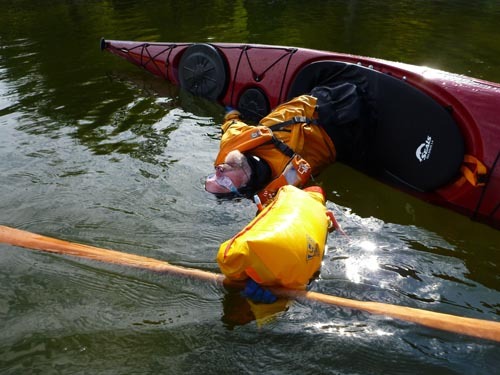 We played around with skin-on-frame rescues, harpoons and, of course, rolling. Evenings were spent socializing and catching up with coaches and participants. 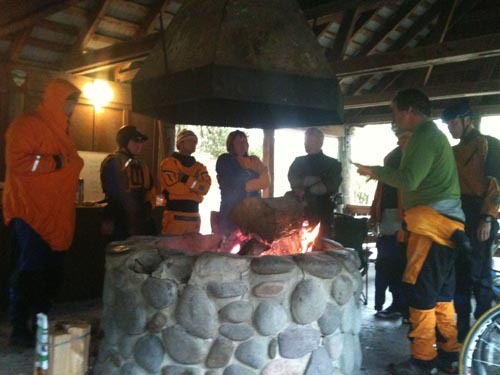 A class takes advantage of the fire during an on-land discussion. The event will continue to run throughout the week and it serves as a precursor to the Lumpy Waters Symposium, which takes place next weekend. Sunday night however, I made my way back down the coast to hop on a plane to warm and sunny Israel for the Optimist Symposium. Description: In the heart of the Arctic Ocean, at 76-81 degrees North, the Svalbard Archipelago remained one of the world’s last great ‘firsts.’ Despite numerous attempts, no one had ever paddled around all four main islands, until now. 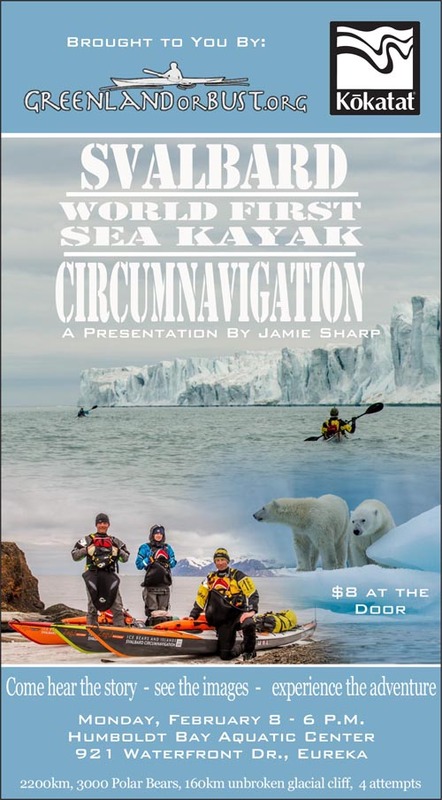 After six years of dreaming and planning to complete this epic trip, Jaime Sharp will tell the story of how he, Tara Mulvany and Per Gustav Porsanger had their adventure amongst ice bears and islands. 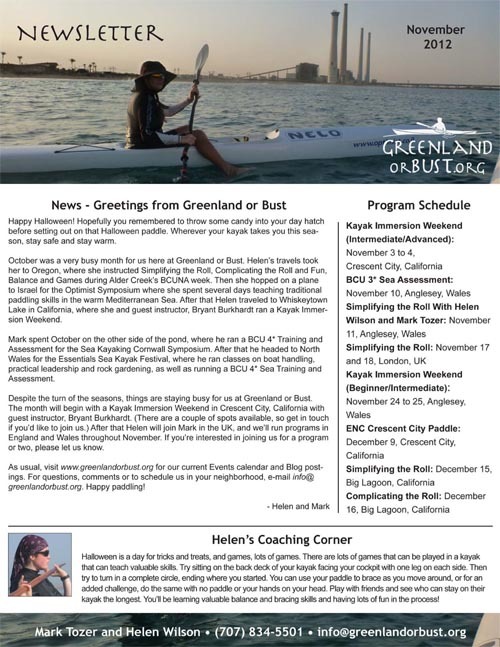 This presentation is brought to you by Greenland or Bust and Kokatat. 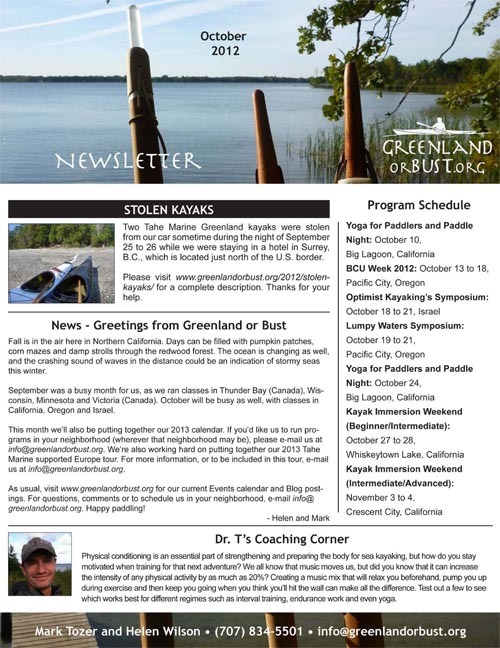 Contact: For more information visit, www.svalbard.worldwildadventure.com or e-mail info@greenlandorbust.org. 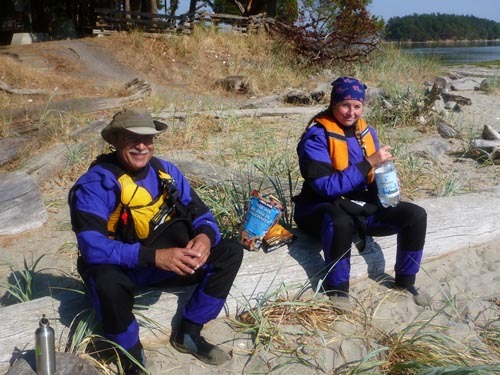 After visiting with Sea Kayaker Magazine last month, Mark and I headed north to B.C., Canada. Once there, we ferry hopped our way to Saturna Island to visit a friend for a couple of days. 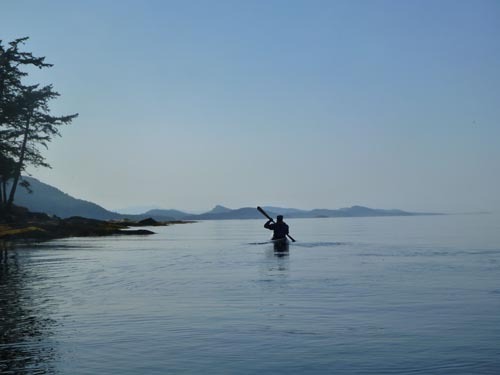 It was wonderful to catch up with him, and the three of us enjoyed a relaxing paddle around Tumbo Island. A gorgeous day amongst the Gulf Islands. 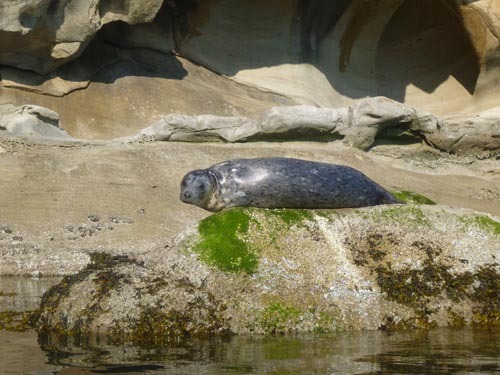 A harbor seal enjoys a nap on a warm rock. 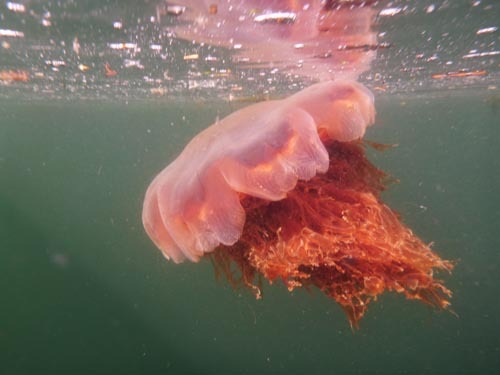 A lion’s mane jellyfish bobs close to the surface. 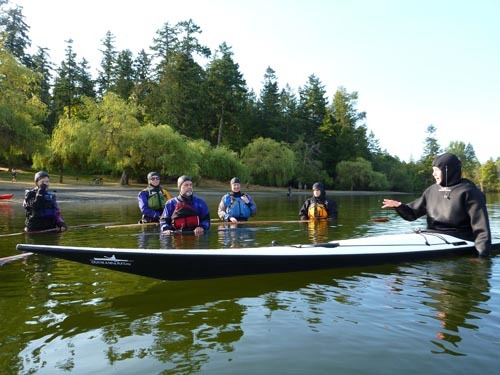 After two days of rest and relaxation, we made our way to Vancouver Island to run two days of rolling clinics for the South Island Sea Kayaking Association in Victoria. 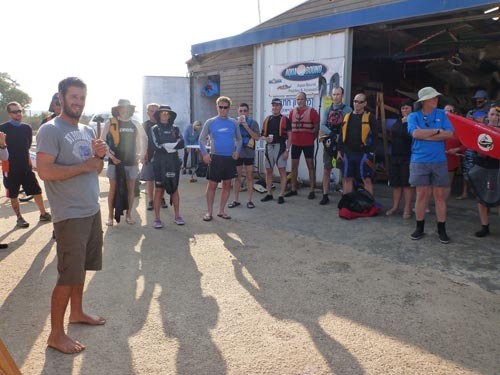 This was our second year instructing there, and it was great to see everyone. Special thanks to Michael Jackson for hosting us and organizing the clinics! One of four rolling clinics. Concentrating on a perfect Balance Brace. Photos by my fantastic husband Mark Tozer.